It’s a progressive disease that begins when the heart adapts to stressors high blood pressure, coronary artery disease, or diabetes, for example in order to work properly. These stressors can lead to dilated cardiomyopathy, in which the heart’s left ventricle (pumping chamber) stretches, enlarges, and becomes thinner. Eventually, the heart cannot return to its normal shape, thus worsening its ability to pump blood and potentially leading to irregular heartbeats, blood clots, or even sudden death. 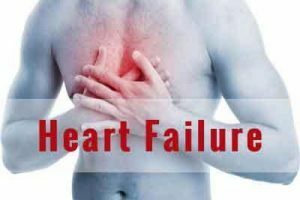 Researchers know that changes in gene expression occur during, but it remains unclear whether these changes are due to declining heart function or whether these changes are part of the progression to heart failure. A better understanding of the role transcription co-factors proteins that are key to the regulation and expression of genes could provide important clues into how heart failure develops. In a new study, University of Iowa Health Care researchers report on the role of a protein part of a large group of transcription co-factors called the Mediator complex in regulating gene expression in heart muscle cells.